How easy is it? Watch the video! ShipRush Web lets you print labels locally and remotely, and easily lets you share access to shipping and shipping history. 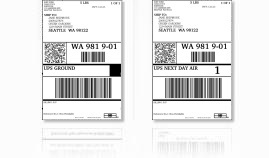 Send labels to your local printer or across the country. "Automation rules help finish my shipping day in a few quick clicks!"